Besides its language classes, Parola Italian language school provides its students with a wide variety of additional courses in Florence to experience Italian culture outside the classroom. These supplementary lessons go into more depth and detail into the Italian culture and art. Our language institute covers most of the relevant topics of Italian culture and art such as Italian society, Italian politics, Italian geography, art in Italy or Italian food and wine, Italian music, or opera. Parola school give presentations at the school’s headquarters in the heart of Florence. Florence is the city of art; therefore it is natural to offer a hands-on drawing course and take advantage of the location. In this course, students learn how to study and compose basic drawings of the human body, the most challenging of all artistic subjects. Students practice drawing both indoors and En Plein Air utilizing locations such as Piazzale Michelangelo, Ponte Vecchio, and other famous Florentine Piazzas to improve their artistic skills. To complete the understanding of the Italian language, our school offers courses in humanities which study the deep connection of the language to history, social changes and culture. In this course, we discuss the most significant periods of Italian literature with special emphasis on the fourteenth century to highlight authors such as Dante, Boccaccio, and Petrarca as well as focusing on the twentieth century to discuss the writers Moravia, Sciascia, Pasolini, Calvino, and Bassani. Additionally, we provide courses on contemporary authors such as Niccolo Ammanniti, Alessandro Baricco, Antonio Tabucchi, and Umberto Eco. The Italian language and socio-cultural attitudes go hand-in-hand, each effecting the other for centuries. Parola school offers an Italian language history course to explore most profound social and historical aspects that formed the language. We study Italian both on an everyday basis through idioms and dialects as well as at a more academic and historical level. Students can also learn the use of Italian in its advanced elements. Parola Italian language school is affiliated with the school of Music in Florence, which is open year-round. This course is designed for students who are particularly interested in Italian music, specifically in Operatic music. School participants can learn and enjoy Opera or folk music lyrics while studying the Italian language and other cultural aspects of Italian music. This course explores the history of opera from its origins to the present. Topics that are discussed in these supplementary classes include: the origin of opera with Monteverdi; the development of opera in Italy during the 17th century; Opera seria and Opera buffa; the Neapolitan school; Mozart’s Italian operas; and Rossini, Donizetti, Bellini, Verdi, and Puccini. The course also examines the contemporary trends of Italian opera music. This course covers the following topics of Italian history: Fascism, World War II, the Post-War period, the birth of the Republic, the 50’s, the Italian Political Parties, the Southern region of Italy, the Mafia, the crisis in the traditional political parties, the Kickback Scandals, the Second Republic, as well as discussing Italy in the current era. This course is of particular interest to those students who wish to know more about the history and secret life of the great families like the Medici, who ruled Florence centuries ago. For a hands-on experience of this history, the school offers guided tours as one of the free-time activities. 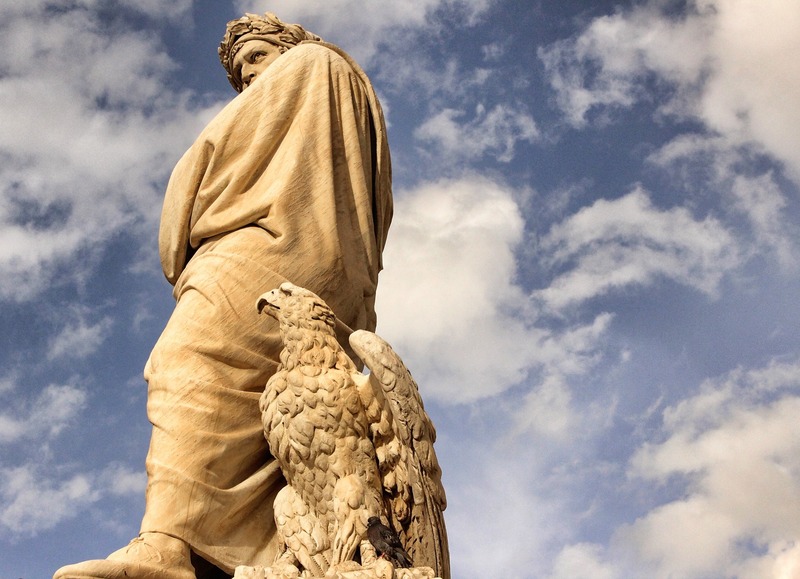 These tours are conducted not only in the heart of Florence, but we also offer field trips to some of the most interesting art cities of Tuscany such as Lucca, Siena, and Pistoia. In this course, we offer an overview of the Italian peninsula, from the Alps to Sicily, highlighting the physical features of the country along with the customs and traditions of the different regions. This interesting and explanatory course allows students to understand the fascinating reasons behind Italy being a such a diversified country. This course offers practical and entertaining suggestions for organizing weekend sightseeing trips including the main historical and artistic city centers of Siena, Pisa, and Lucca. The Romanesque country churches of Gropina and Badia a Isola; the great abbeys of San Galgano and Sant’Antimo. And the famous walled medieval towns of Pienza, Montalcino, Volterra, San Gimignano, and Lucca. Also included are timetables for public transportation and helpful hints on how to navigate the cities upon arrival. The Parola school also combines these field trips with special meals in trattorias (genuine Italian restaurants,) wine tasting, and other special events such as concerts or Italian literature readings. Parola school offers this Italian cooking course for those students who love all aspects of Italian cuisine. We explore the entire meal, from the antipasto to tasty Italian first courses (including various pasta dishes such as tortellini, lasagne, ravioli, and gnocchi), to meat and fish dishes, and finally dessert, this course takes students through the delicious world of Italian cuisine. The course covers grape cultivation and harvesting through winemaking as well as wine tasting in order to learn how to recognize each wine and its special features. Under professional guidance, students learn to correct errors in diction and obtain useful suggestions for interpretation of each role. Also see our pronunciation course, which is held at Parola. This Italian pronunciation course is for those students who want to improve their spoken Italian. The course covers accent, rhythm, and diction as well as the rules of Italian phonetics. For more detailed information regarding our supplementary courses in Florence, contact the office of the Parola Italian language school.